Catholic bishops probably grimace every time The Verdict, starring the late Paul Newman, is rerun on TV. As an alcoholic, downtrodden lawyer, Newman as Frank Galvin faces off against Ed Concannon, played by James Mason, sneering his way through his role as the high priced lawyer for Bishop Brophy (Edward Binns) and the opulent Boston Archdiocese rather callously fending off a medical malpractice suit. It’s a problem of keeping up with the Pope. “The Pope Francis Effect,” some call it. Look at the problems Pope Francis has created for the formerly high-living bishops just in the past couple of weeks. The other day, he had his motorcade stop in a small Italian village to kiss a disabled woman lying on a stretcher. The Vatican announced recently that Francis would meet with Irish victims of sexual abuse at the hands of clerics, accompanied by other survivors from the U.S., Poland, and the UK. 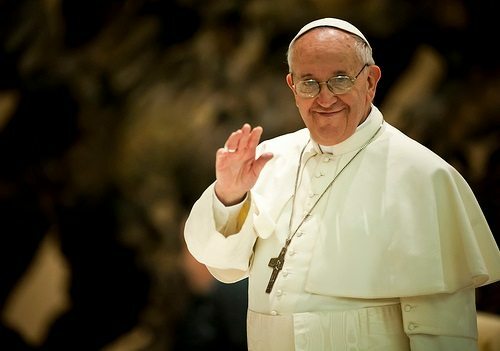 Unlike his predecessors (and some other church leaders) who had embarrassingly close relations with organized crime, Pope Francis chose this month to finally excommunicate the Mafia, though some sources question whether he officially excommunicated the entire mob or simply said that they were inexcusably evil and Mafiosi should be excommunicated. He appears to be living his beliefs in a simple, human kind of religion, without the trappings of affluence and excess. “Just when they thought they had mastered the art of pleasing popes like St. John Paul II and Benedict XVI, along comes Pope Francis to throw them into turmoil about how to remake themselves in his image and likeness,” writes Eugene Cullen Kennedy, a psychology professor at Loyola University, about the U.S. bishops in an article in the National Catholic Reporter. While describing bishops as “bright ambitious men” whose “principal motivation…was that, at sunset, their actions and decisions of the completed day would be pleasing to and approved by the pope” (a conclusion he draws from the Sheehan/Kobler study of U.S. bishops), Kennedy thinks that their ability to please this pope might be challenging.